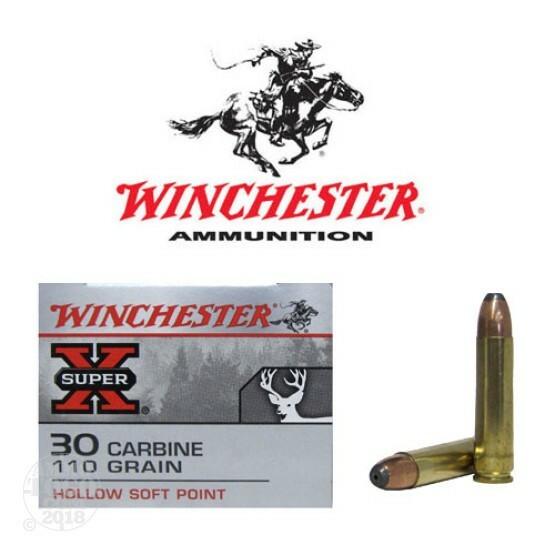 This is 30 Carbine Winchester Super-X 110gr. Hollow Soft Point Ammo. Rapid controlled expansion, progressive energy deposit, proven accuracy. The hollow point provides quick consistent expansion for maximum knockdown performance. This ammo come packed in 50rds. per box.